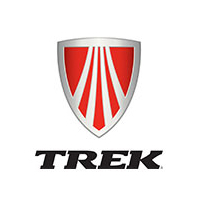 Trek are engineers at heart– designing and building bikes for performance and durability. From light, fast bikes designed to fly over tarmac / cobbles, sure-footed off-road bikes built to conquer any trail, and bikes that let you haul, commute, get fit, and have fun – Trek has a bike to suit most everyone. Early adopters of carbon, they are industry leaders in production techniques – their OCLV process and access to specialist, restricted materials is unmatched. Their in-house production facility means they can design, test and refine bikes before moving to production. Their aluminum bike are superb – based on years of development (and including techniques and process inherited from their purchase of Klein), and come with Lifetime first owner Warranty. Pioneers of the larger 29er wheel off-road bike, they are now also leading the field with 650B bikes and “Smart Wheel” sizing – offering the rider the ability to choose a wheel size to suit their height and riding style. You can also Configure and Customise many Road and Mountain bikes via Project One, and get a true one-off bike – tuned and truly personal! The bike evolves, rather than be redesigned every few years – how can you improve on perfection? Comes in a choice of 4 handlebar types, 4 gear choices, 15 colours, in Standard steel or Superlight, with our without mudguards and rack – and with a slew of luggage and other choices. Let us help you find the Right Brompton for you…. We carry a wide range of ready to go models – so you can often avoid the usual up-to- five-week lead time. Stock bikes can often be altered in-store to meet your specific requirements. We carry a comprehensive range of parts and accessories – to help you spec the bike, and keep it on the road. Comfy Saddles, Colourful and useful accessories. Adult, Kids and Electric bikes all available in the range. Airnimal bikes stand out from the crowd, using an intermediate 24 ” wheel size they ride very well, yet can fold down fairly small making them portable, and easily stored for those short on space. Choose from the more road-going Chameleon, or the multi use Joey. Also consider the Rhino as a multi track option. Airnimal Bikes are to some extent configurable – so we can order to match a Bike Fitting. These bikes have been designed and are hand assembled in Cambridge, England. Traditional, but modern. The bikes from this longstanding UK builder are the apogee of style and quality. Classic steel frames, built for comfort, stability and longevity, coupled to modern aluminum parts, drive chain and tyres makes for a perfect blend of elegance and function. Choose from the traditional Roadster and Princess, or look at the more contemporary Britannia and Sonnet range. Check out the Guv’nor and Speed path racers, the one-size Parabike / Penny, and the traditional road and tour bikes – and the new Clubman and Countryman range. Light, colourful, this UK brand has produced some lovely little bikes. lightweight frames, coupled to quality wheels, tyre selection and easy reach brakes make these a great choice for the youngsters. Chose from Learner bikes, through 20, 24 and 26 inch wheel sizes – available in flat bar hybrid styles, and Drop Bar Road bikes as well. Come in a choice of four to six colours – including the new Sky Team range. Seven Cycles manufactures high-end custom frames from seamless 3-2.5 titanium (sometines combined with high-modulus filament-wound carbon fiber tubes), and the world’s finest steels – in a variety of types and styles to meet your requirements. All done in-house in Watertown, Massachusetts, USA. From a Cat 1 Racing machine, through Sportive, Gravel Racer and Cycle-cross disciplines, to a multi-day Tourer or Adventure bike, Tandems and Hardtail Mountain Bikes – Seven can make it! Give us a call to find out more, or book an appointment to discuss a Seven frame / build. All Custom frame orders are designed as a result of Bike Fitting.